A Horsham care home has been placed in ‘special measures’ after being rated inadequate by health regulators. The home - Kingsmead Lodge in Crawley Road, Roffey - is one of a number run by Sussex Health Care which is currently at the centre of a police investigation following the deaths of 13 people at nine of its homes. Inspectors of the Care Quality Commission paid an unannounced visit to Kingsmead Lodge in September and found that standards had deteriorated since a previous inspection in August last year. The home cares for up to 20 people with learning and physical disabilities, most of whom have complex mobility and communication needs. In a report out this week, the Care Quality Commission said that there were concerns that medicines were not being managed safely, infection control measures were not in place when staff dealt with people who needed to be fed by tube and that there were gaps in staff training over how to deal with people’s challenging behaviours. 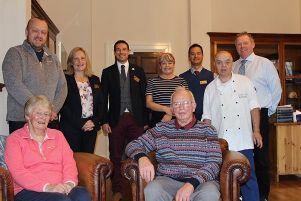 The commission rated Kingsmead Lodge inadequate in categories of safety and leadership and said it ‘requires improvement’ in caring, responsiveness and effectiveness. Meanwhile, Kingsmead Care Centre, on the same site in Roffey, was rated ‘requires improvement’ - for the second time - after a separate inspection by th Care Quality Commission. The centre cares for up to 34 people in two units - a nursing home for older people and a unit caring for people with learning disabilities. Inspectors found that some improvements had been made since a previous inspection, but more were needed. They rated the care centre ‘good’ for safety, caring and effectiveness.